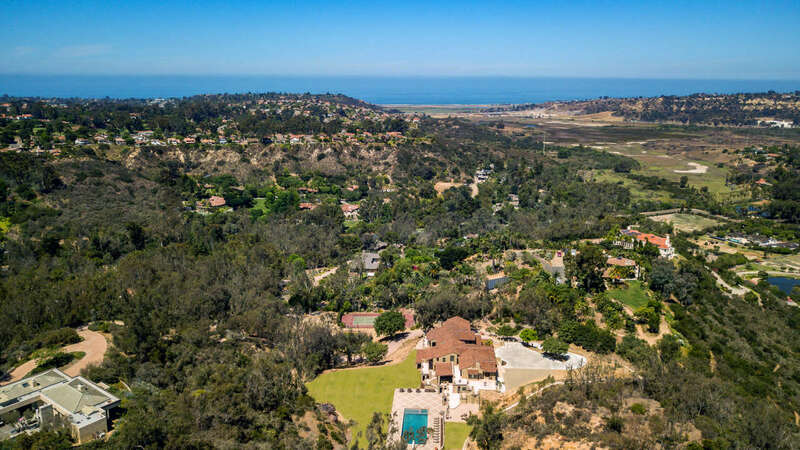 The sheer size of Del Mar Estate will take your breath away. 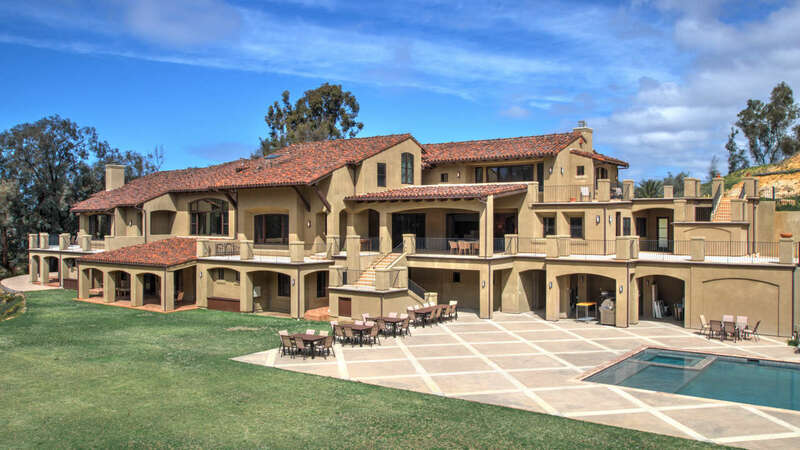 For the perfect San Diego escape you need easy access to dining, nightlife, beaches but also your own private oasis of refuge. 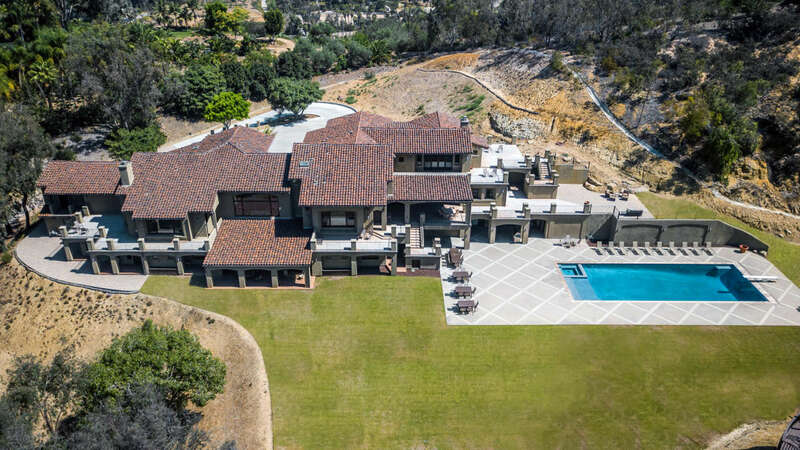 Del Mar Estate is that home, with 16,500 square feet of luxury living space, 11 bedrooms, 10 full and 4 half baths and the ability comfortably sleep 38 guests. 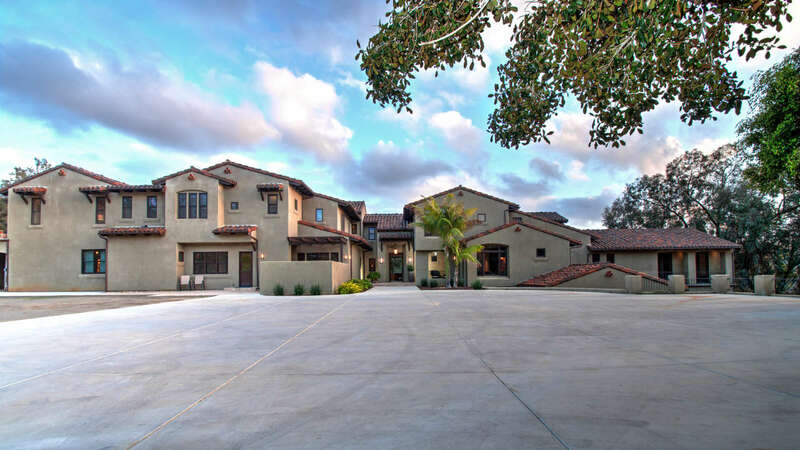 Del Mar Estate is located in Rancho Santa Fe, one of the most exclusive communities in the country and is known for its gorgeous, secluded properties and upscale environment. 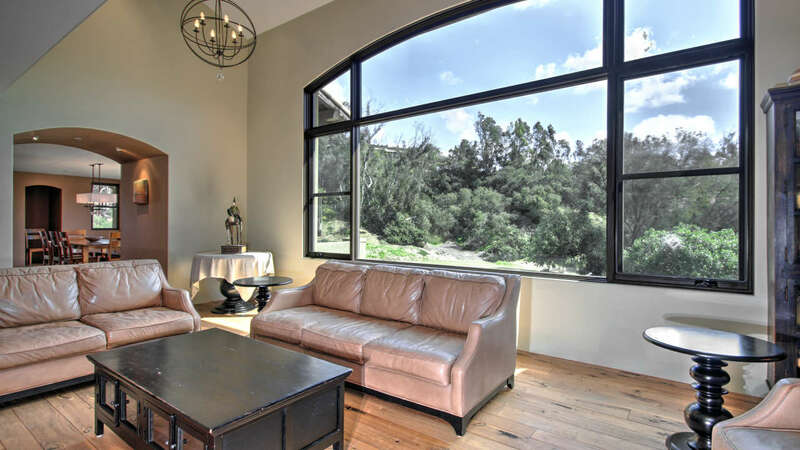 Take in the view of the 20,000 square foot lawn through the large picture windows in the great room. 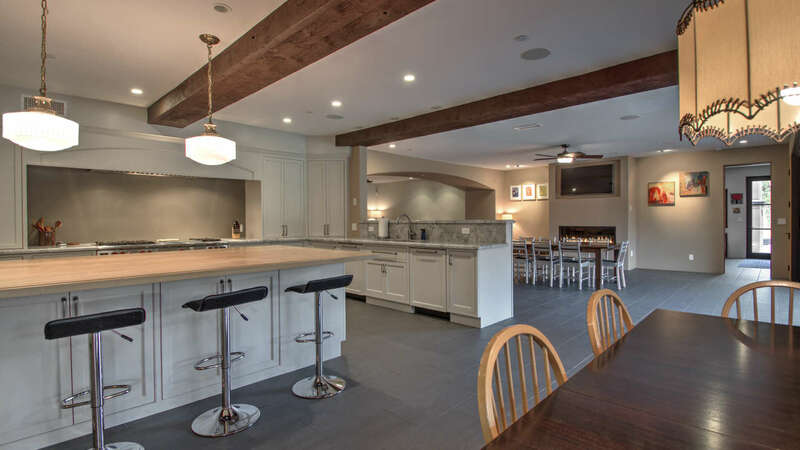 The exposed wood beams and vaulted ceilings showcase the beautiful décor and open the space of both the great room and the adjoining family room. 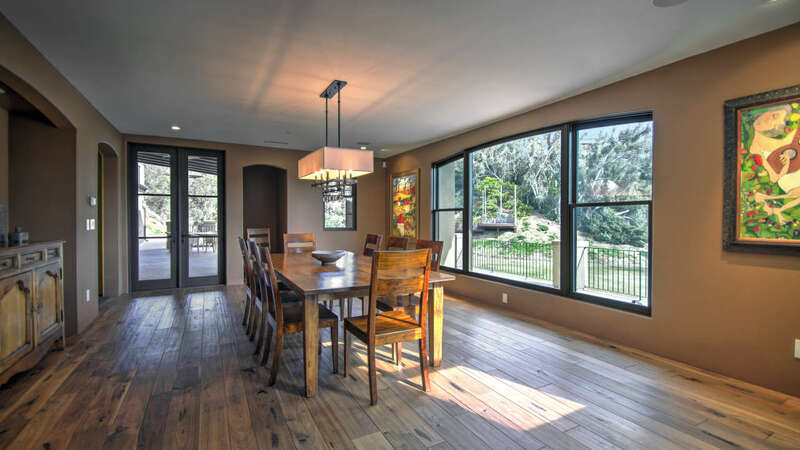 You can relax in any of the three large separate living areas here on the main level. 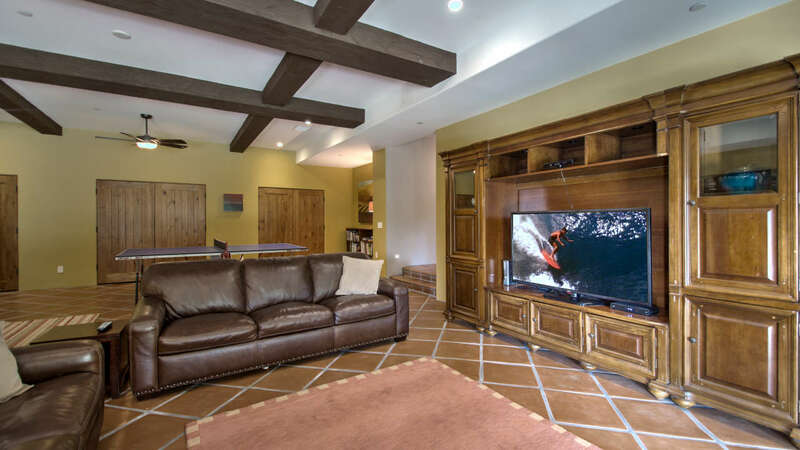 Just off the dining room and kitchen is the third living area with a large plush sectional and flat screen TV. 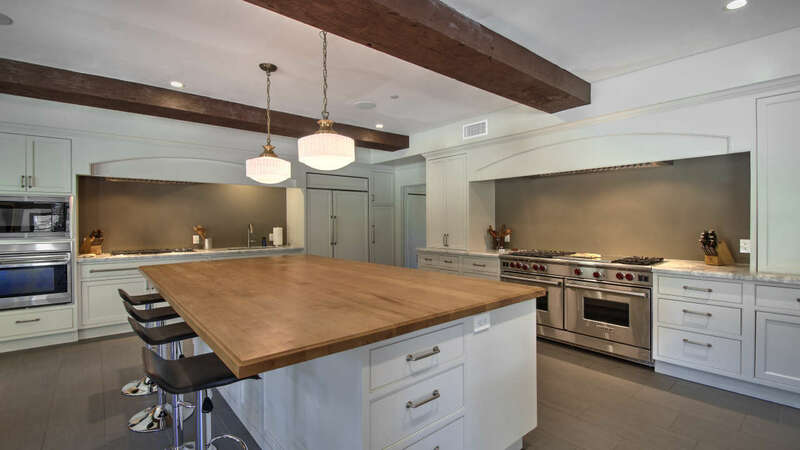 The gourmet kitchen has plenty of space for everyone to gather. 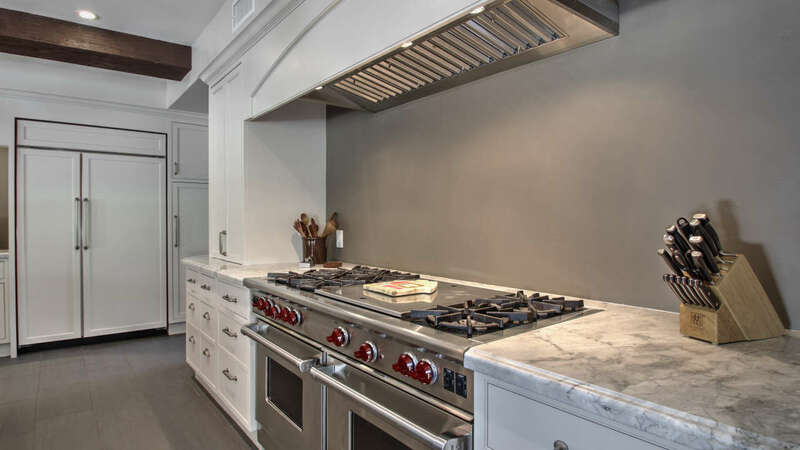 Create your next decadent meal with top of the line stainless steel appliances and a large floating island giving you plenty of space. 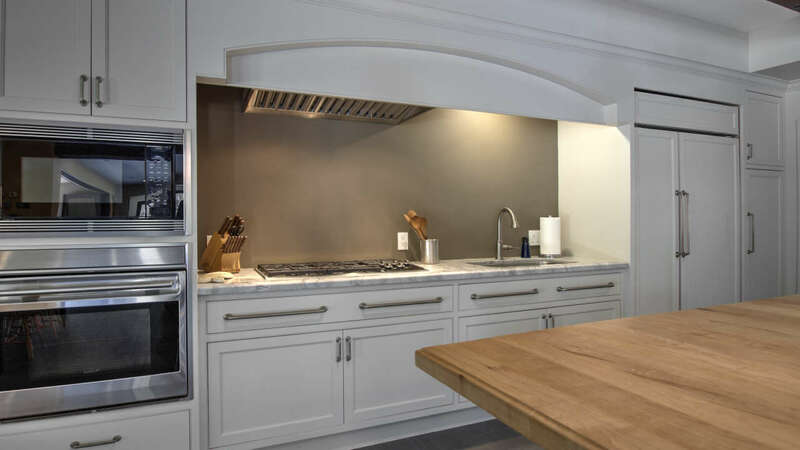 Enjoy a casual meal around the dining table in the kitchen or have a more formal meal in the dining room which can easily seat 10 guests. 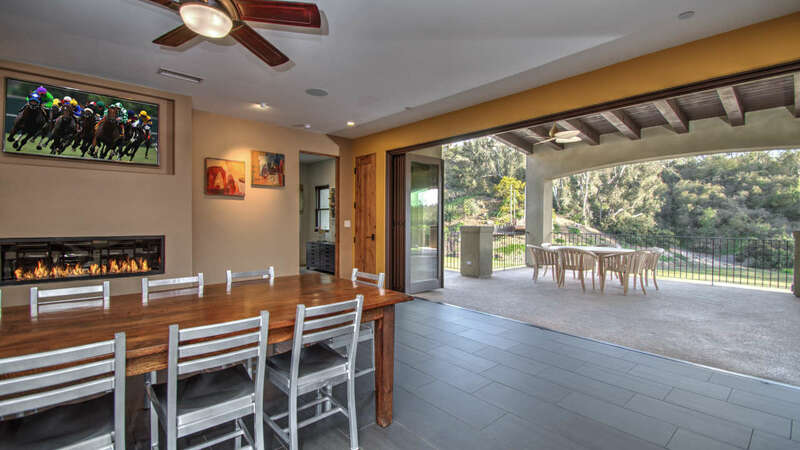 The gourmet kitchen opens to the outdoor living area. 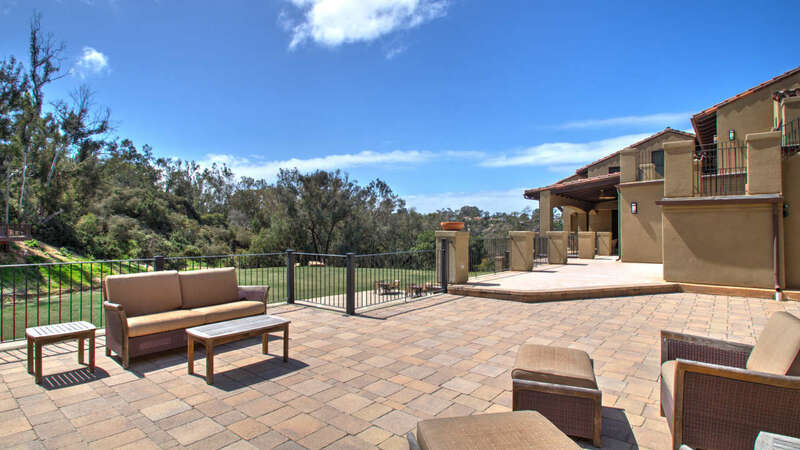 On any of San Diego County’s gorgeous sunny days, fire up the grill and dine al fresco around the outdoor dining table. 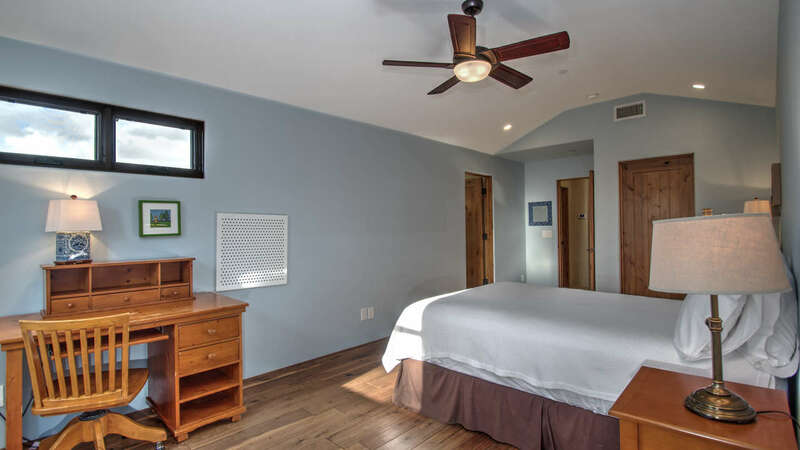 Continue through the home to the upper floor where you will find the master suite. 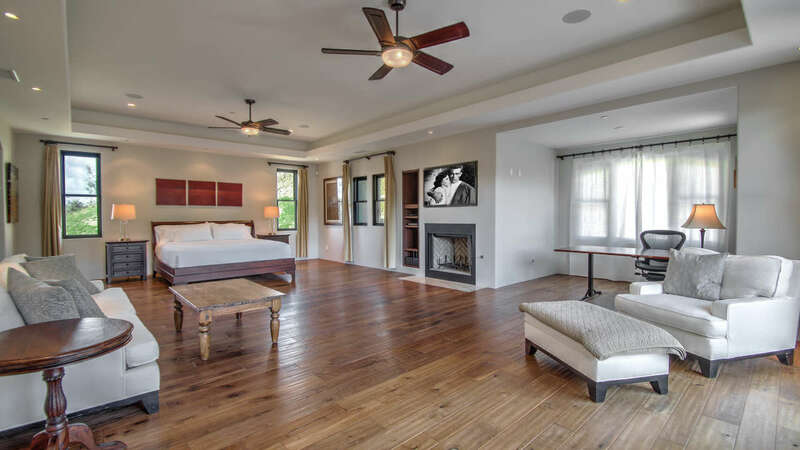 The spacious master suite features a king bed, fireplace, sitting area, office, balcony access and an en suite bath that has a soaking tub. 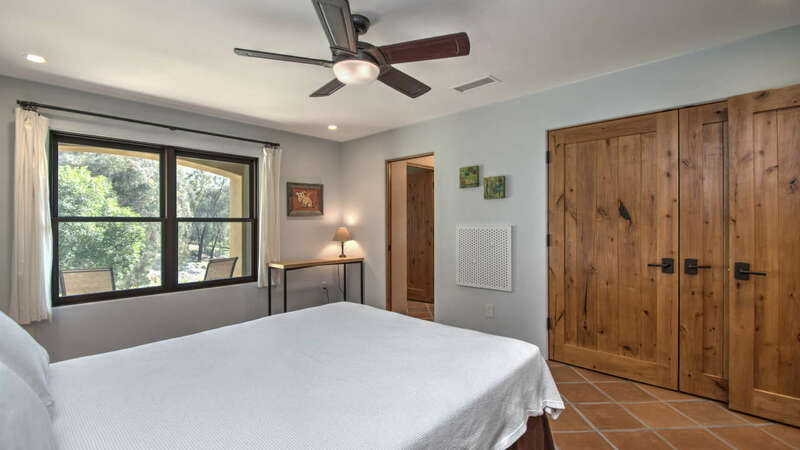 There are four more guest rooms on the upper floor. 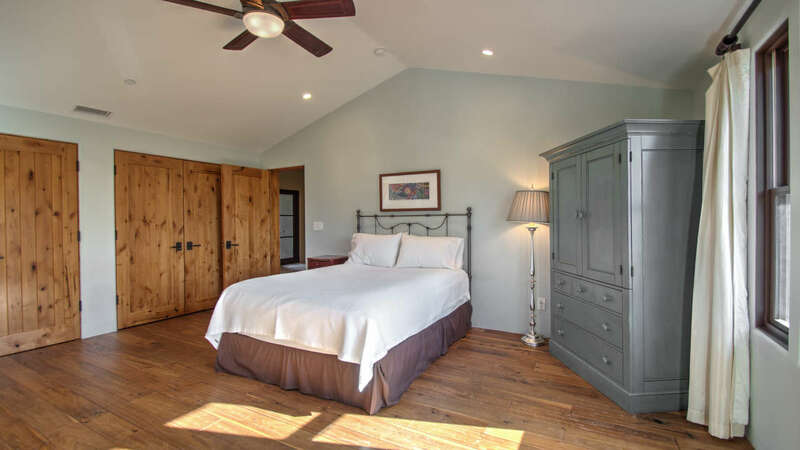 The second guest suite has a king bed, sitting area and an en suite bath. 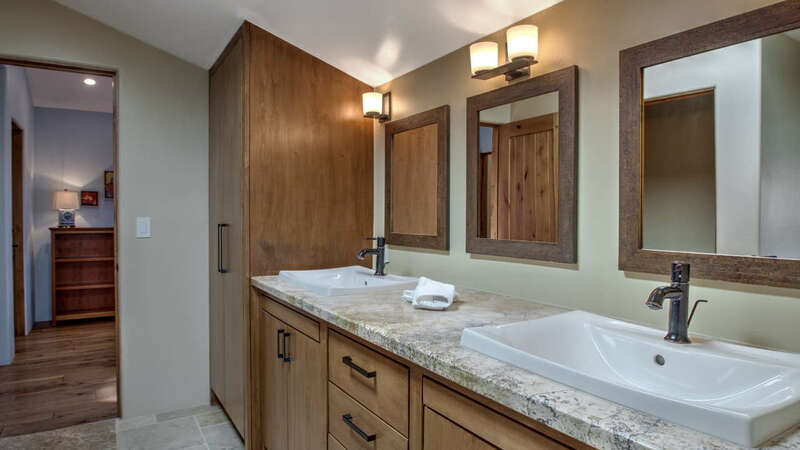 The third guest suite has a queen bed and an en suite bath. The fourth has a private balcony, TV, and both it and the fifth guest rooms each have a queen bed and share a Jack & Jill bath. 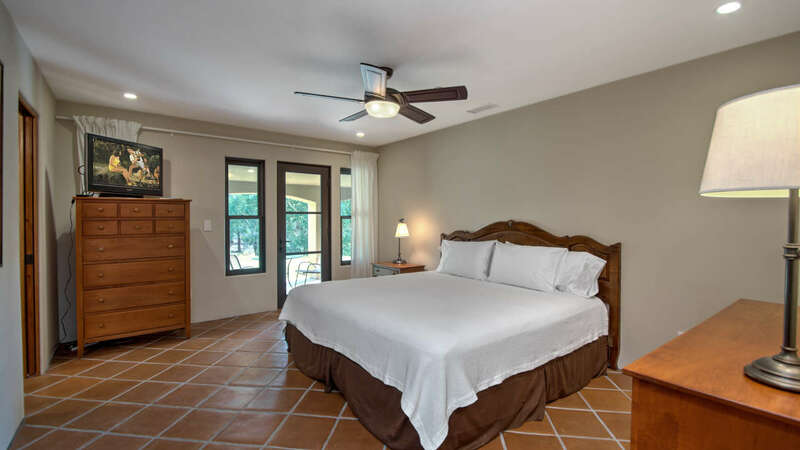 On the main level you will find the sixth guest suite which features a queen bed, private patio, a TV and an en suite bath. 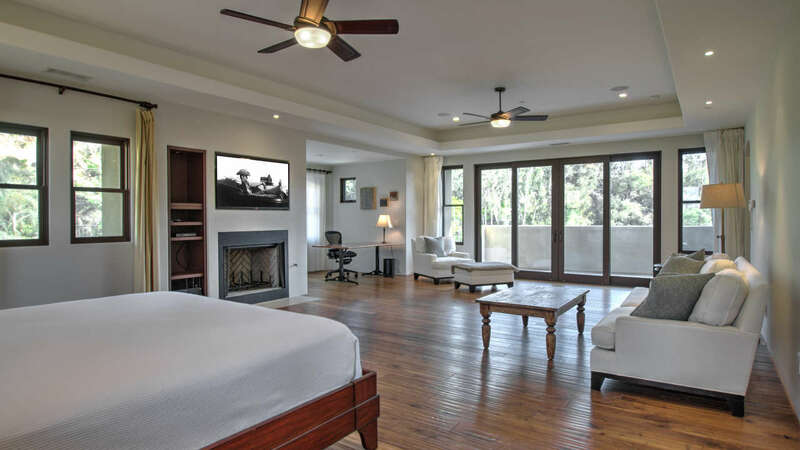 On the lower level are the remaining five guest rooms. 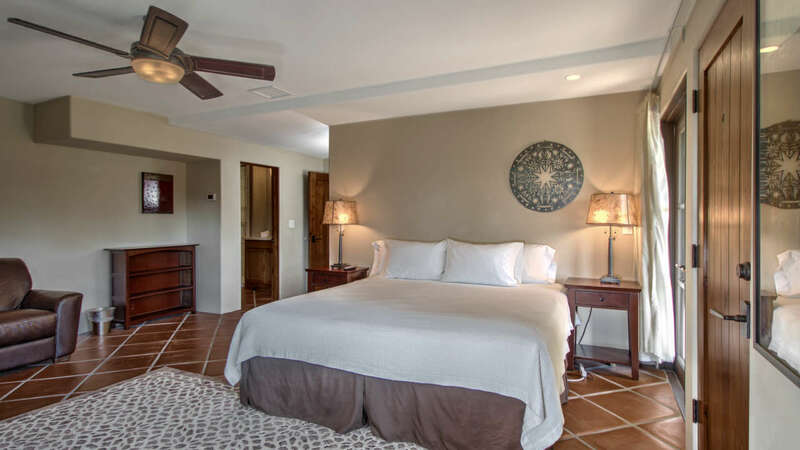 The seventh has a queen bed and shares a Jack & Jill bath with the eighth which has a king bed, TV and patio access. 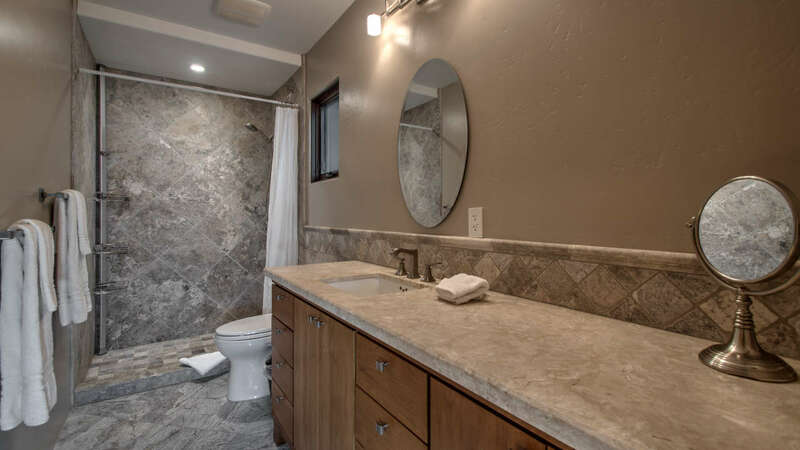 There is an additional half bath located across the hall from these bedrooms. 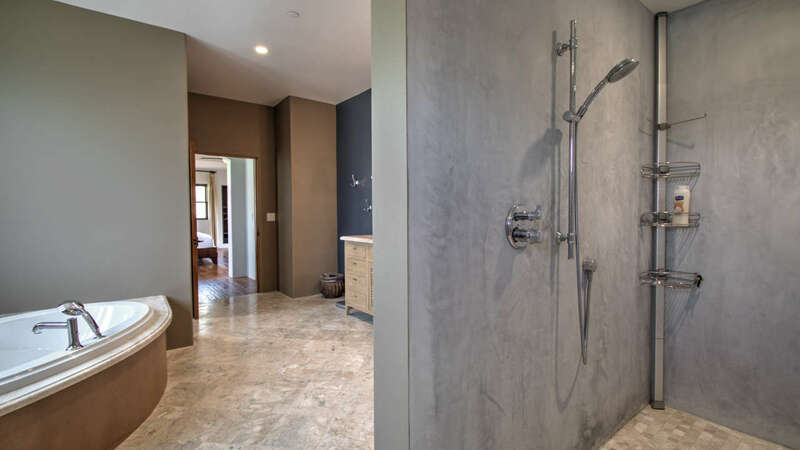 The ninth and tenth guest rooms each feature a queen bed and share a Jack & Jill bath. 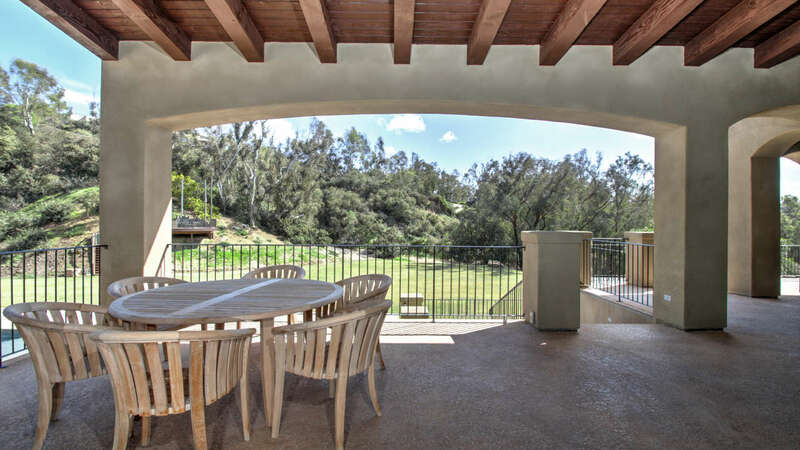 The tenth guest room has patio access. 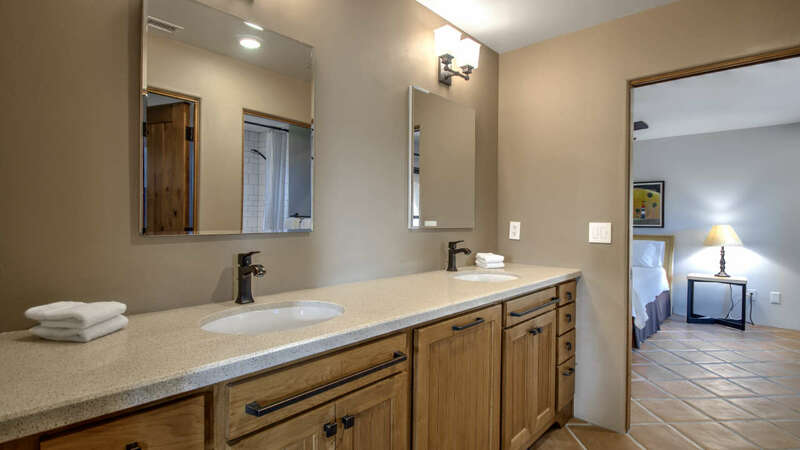 There is also an additional half bath located across the hall from these two bedrooms. 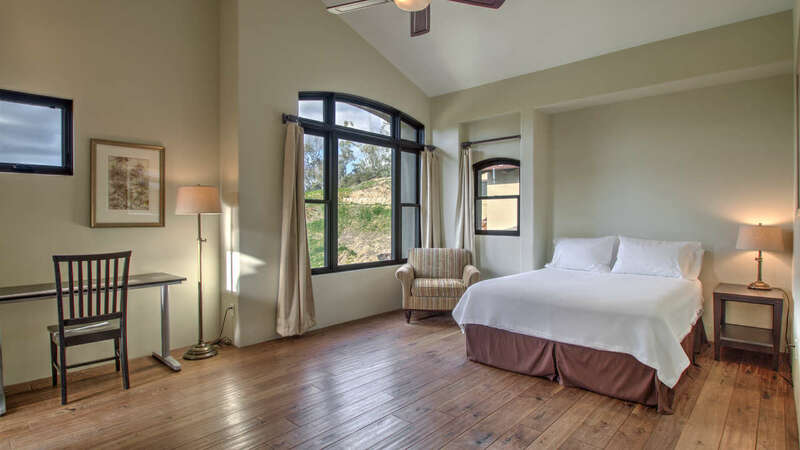 The eleventh guest suite has a king bed, patio access, a TV and an en suite bath. Additional bedding is available for larger parties; please ask for details. 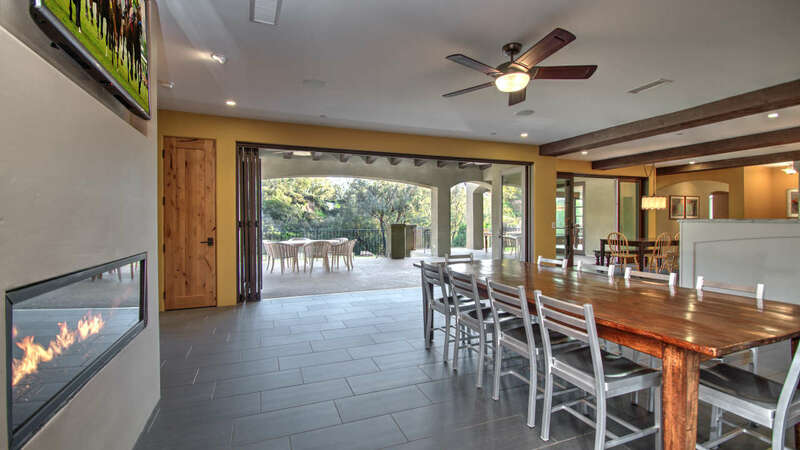 The outdoor amenities of this home are exemplary. Take a dip in the oversized outdoor pool or hot tub or just soak in the sun while relaxing in one of the many lounge chairs on one of the multiple balconies or patios. 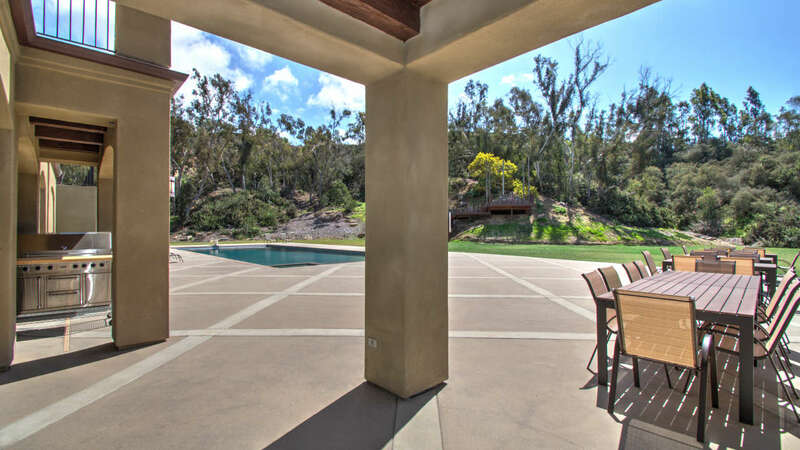 The immense outdoor grounds that surround the property give you plenty of space and privacy to enjoy the outdoors. 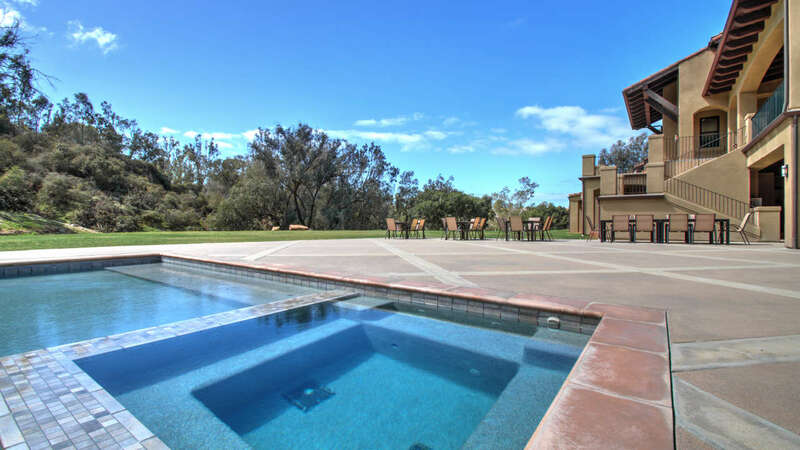 Go for a stroll around the property and check the koi pond and small waterfall. Enjoy an afternoon hike; just down the private drive is a hiking trail that leads to Seaside State Beach and Mushroom Caves. Take the fun inside to the game room and challenge your friends to a game of air hockey, foosball or one of the arcade games. 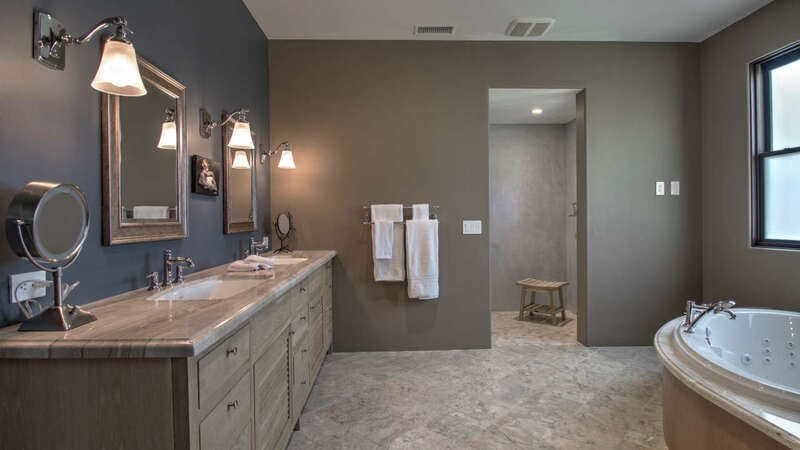 Don’t worry about missing a workout with the fully equipped fitness center in the home. 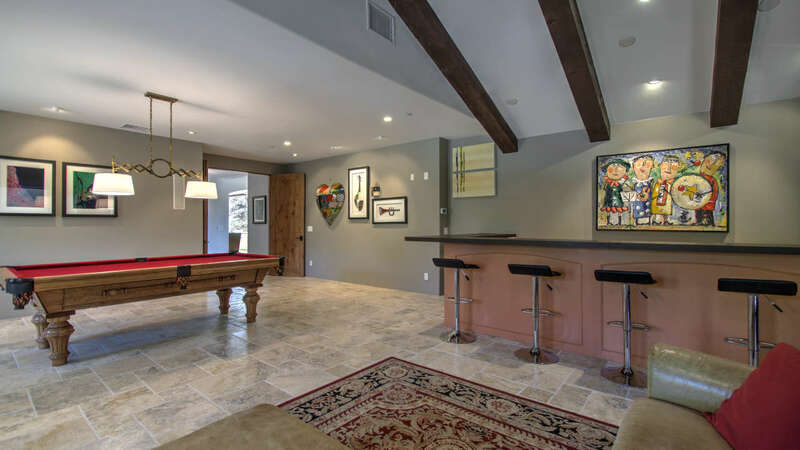 In the evening, enjoy a game of pool or take in a movie in the home theater and recreation room. 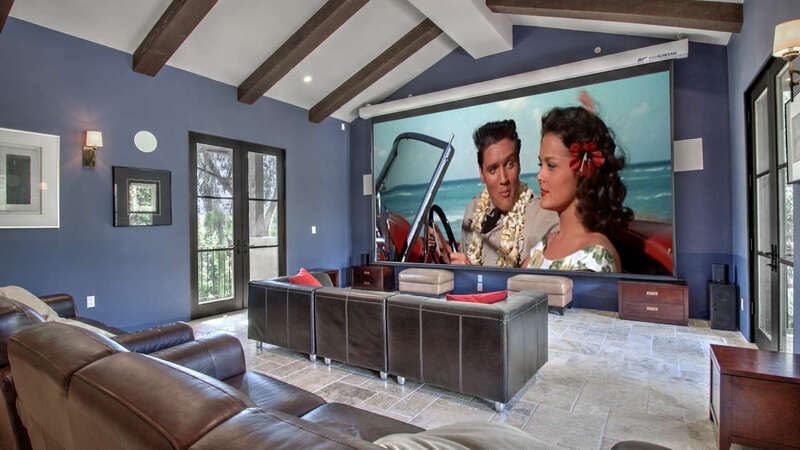 Curl up on the couch and watch your favorite show or film on the large projection screen. 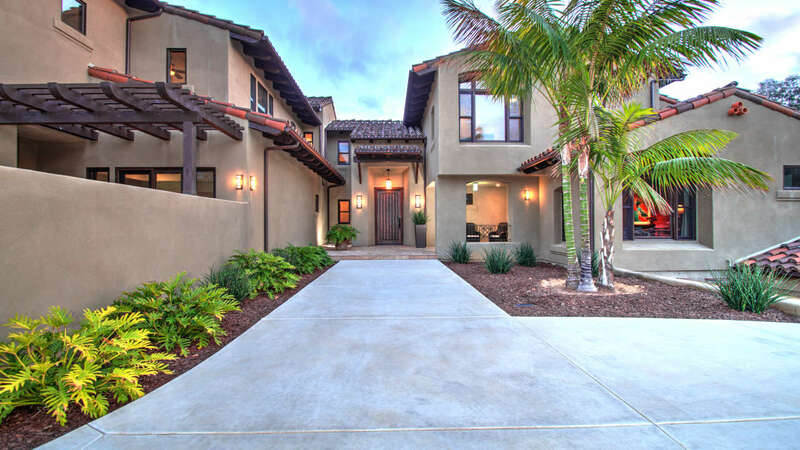 In an ideal location, you are only a few miles from the sandy beaches of Del Mar, Fletcher Cove, and Cardiff State Beach, as well as the famous Del Mar Racetrack & Fairgrounds. 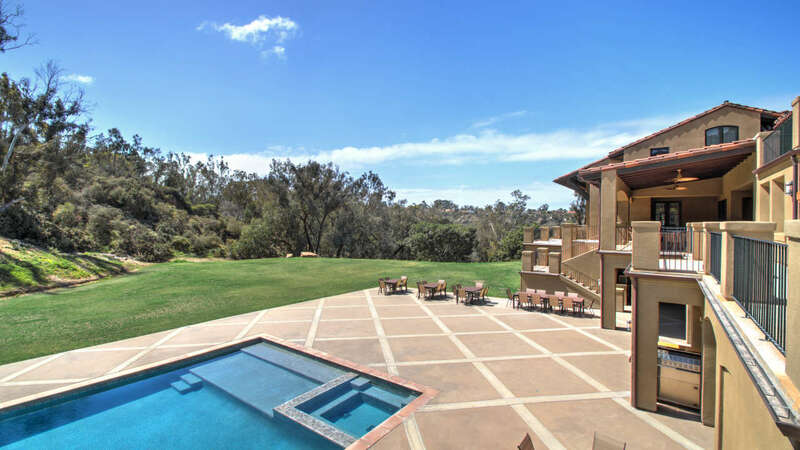 Enjoy sunbathing on the beach or watch beautiful thoroughbred horses race down the track. 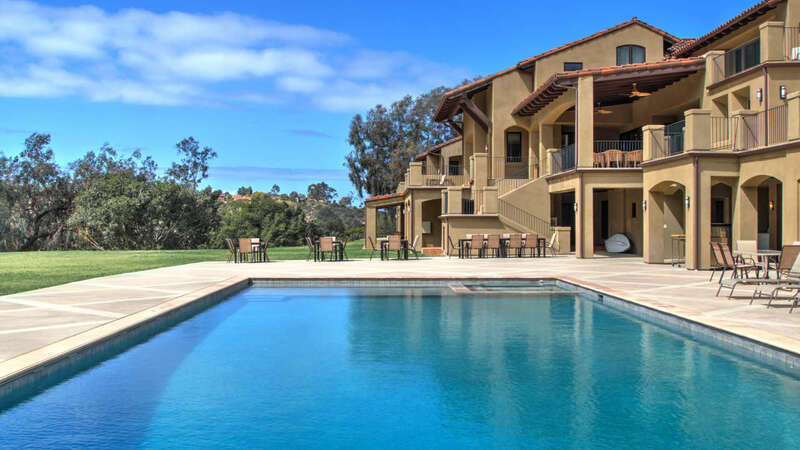 Some of the top San Diego family destinations, like SeaWorld or Balboa Park, are only 20 miles away so gather with friends and family for a luxurious Rancho Santa Fe retreat. 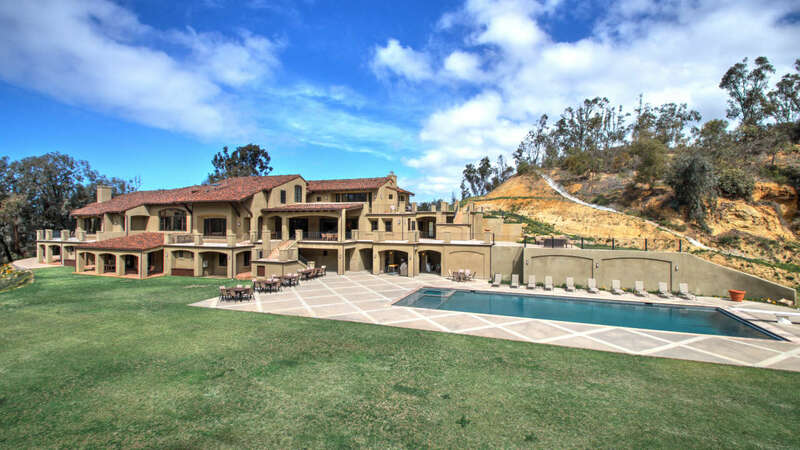 Built into the side of a cliff and surrounded by a wooded canyon, Del Mar Estate offers the ultimate seclusion from the metropolitan hustle and bustle but is still nearby to excellent dining and nightlife.